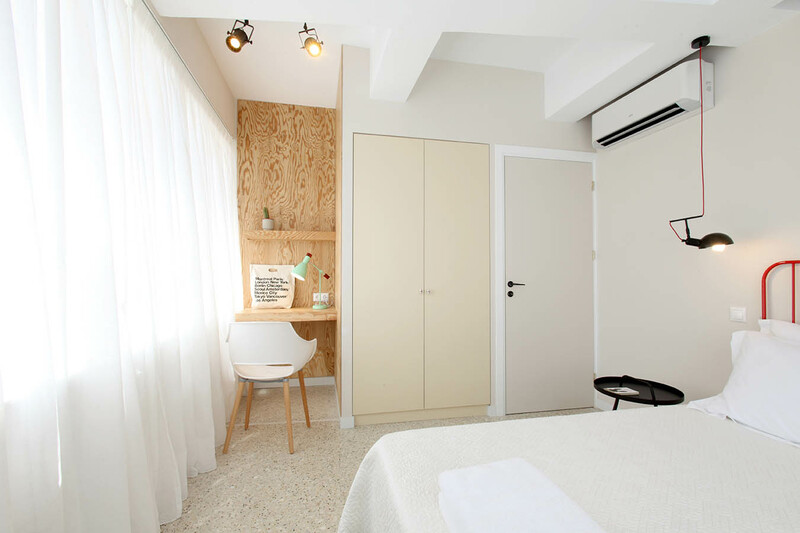 Our One bedroom suite of 47 sqm has a separate living room and fully equipped kitchen, ideal for a couple but can easily host up to 5 guests by using the comfortable sofa bed and the extra single bed upon request. 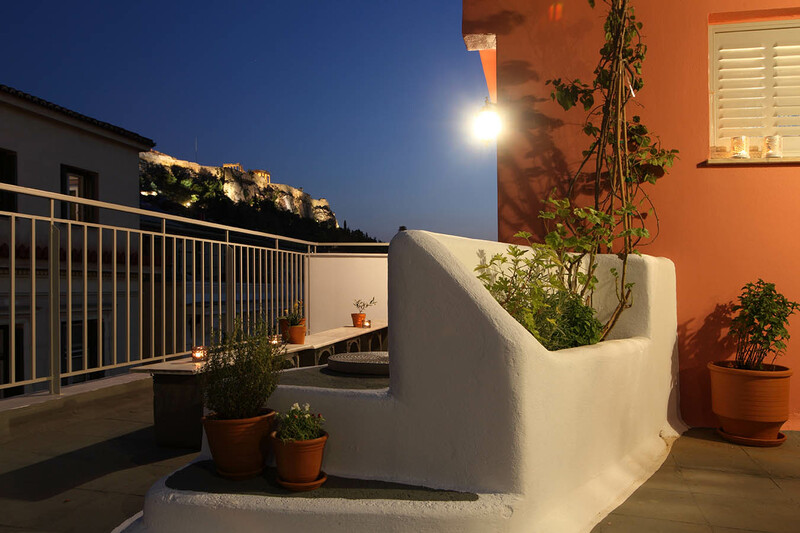 The common roof garden of 80 sqm with Acropolis view hosts a lounge sitting area, a dinning table, sunbeds, outdoor shower and outdoor kitchen. 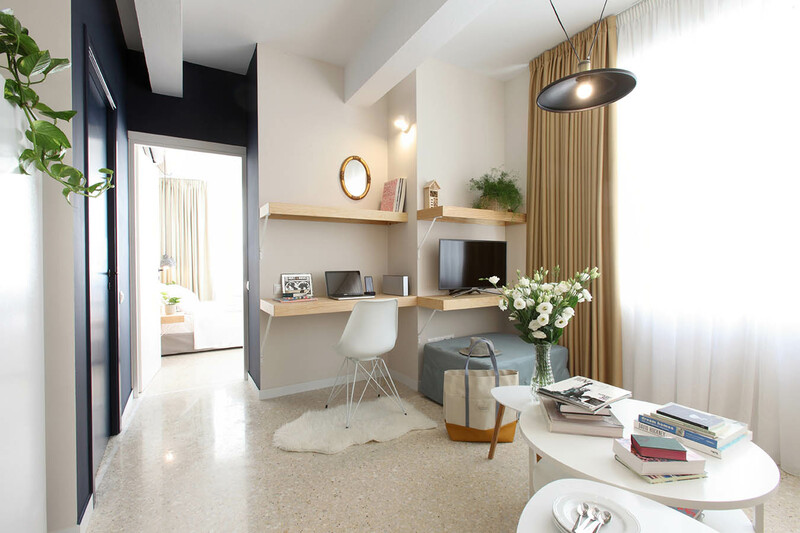 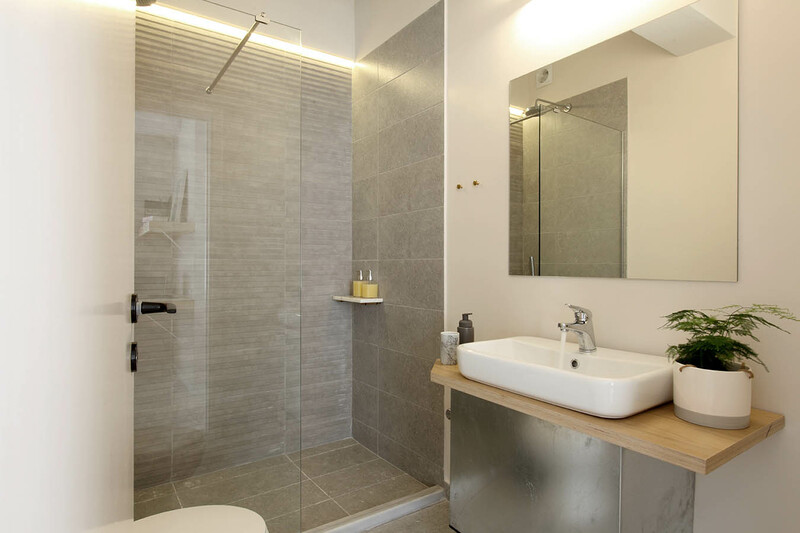 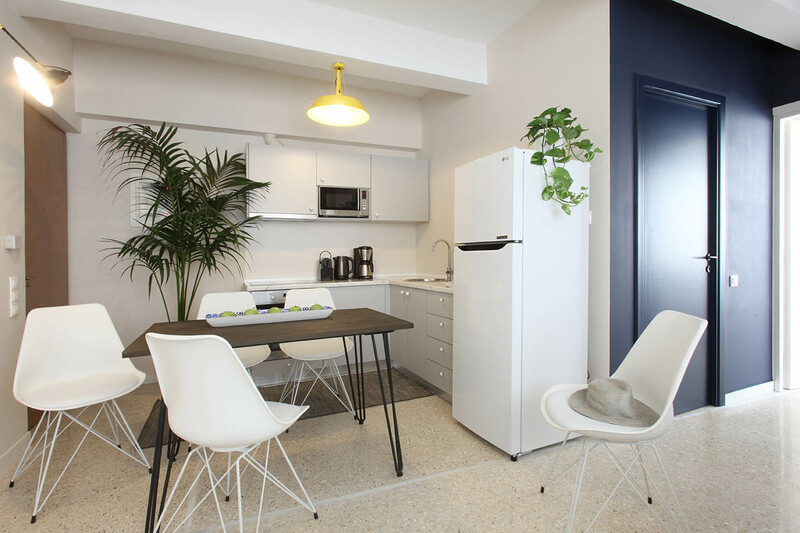 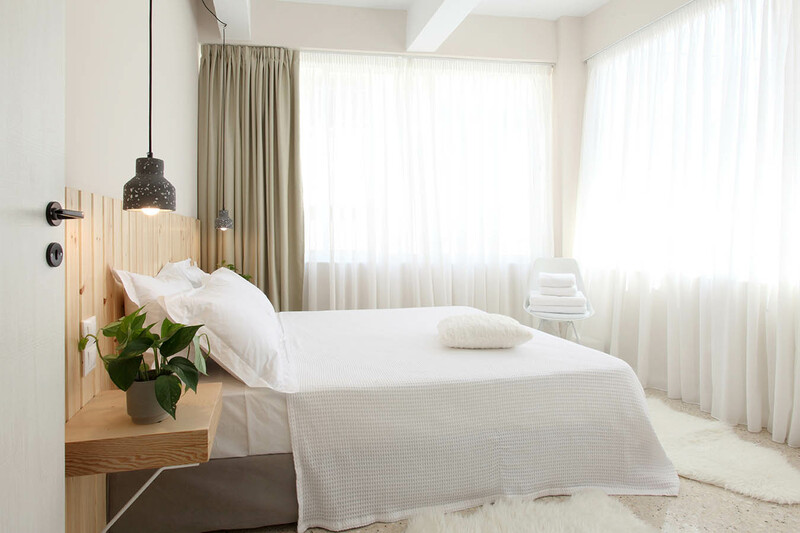 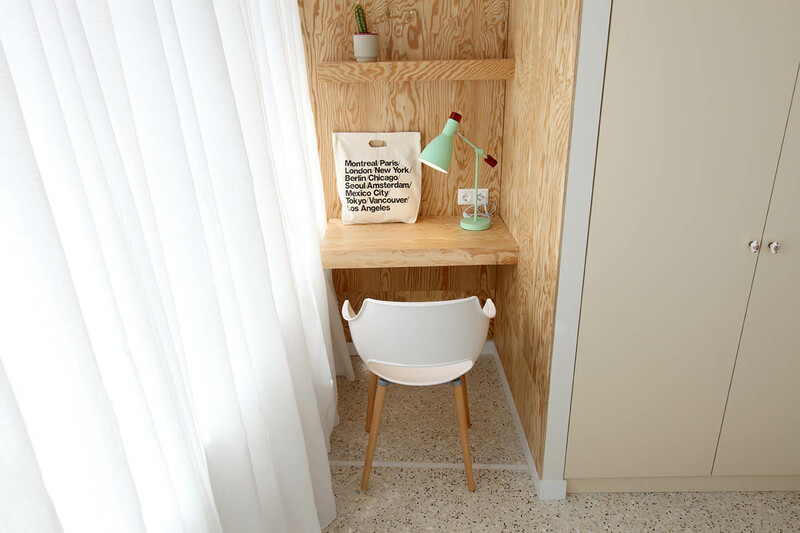 One bedroom suite is one of the eight suites of this Live in Athens private building. 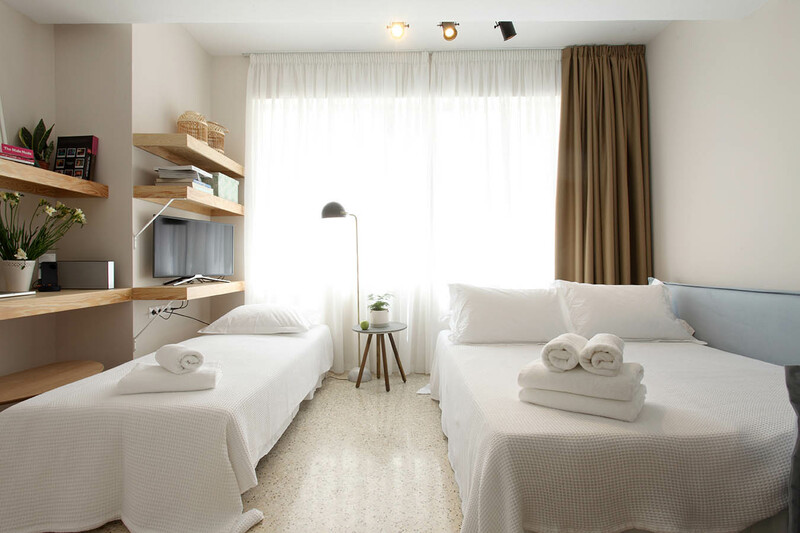 It’s located in the old city of Athens at the famous neighborhood of Plaka next to the Cathedral of Athens. 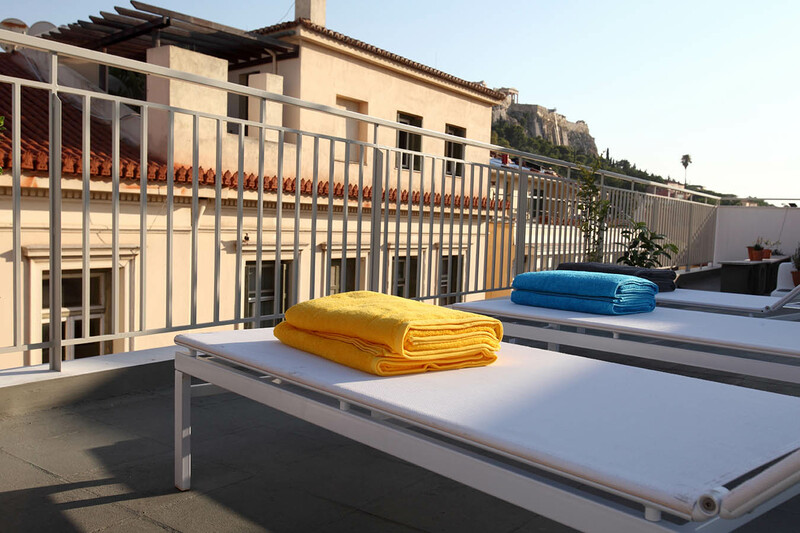 The property is an exclusive Live in Athens private building and if you stay here you’ll have the privilege to use the common roof garden with a view to the Acropolis hill. 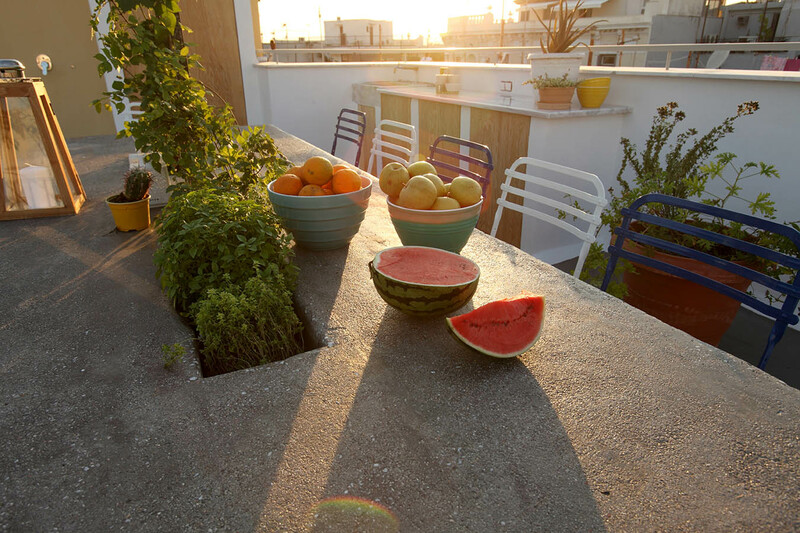 The roof garden is equipped with everything possible to make it a pleasant experience day and night. 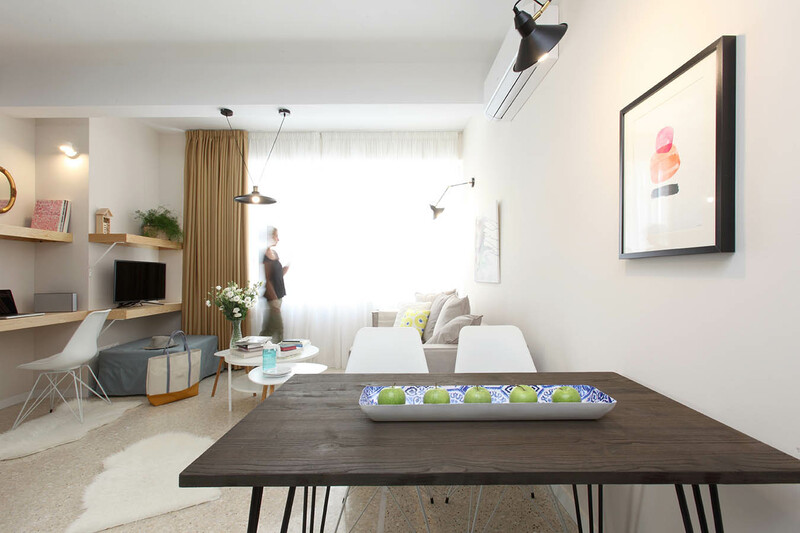 It has been designed with respect to all the special characteristics that makes Plaka neighborhood so unique. 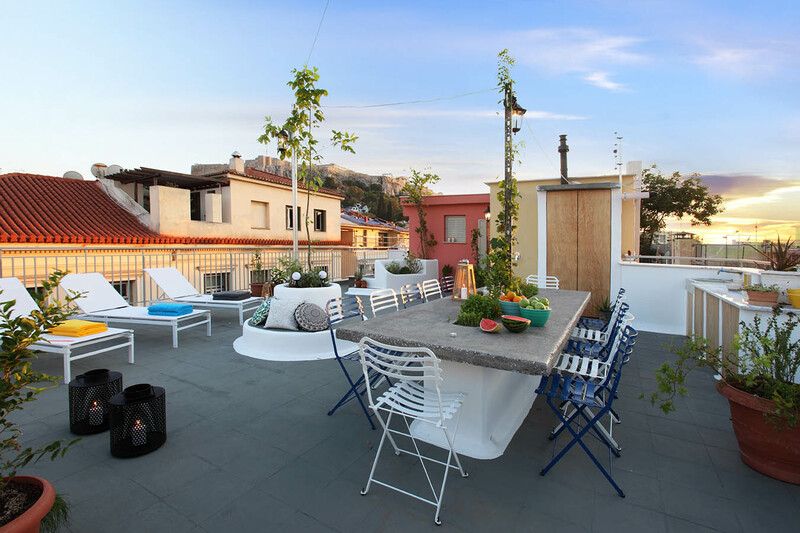 Spending time here makes you feel like you’re walking around the charming streets of Plaka surrounded by the smells of greek herbs and jasmine. 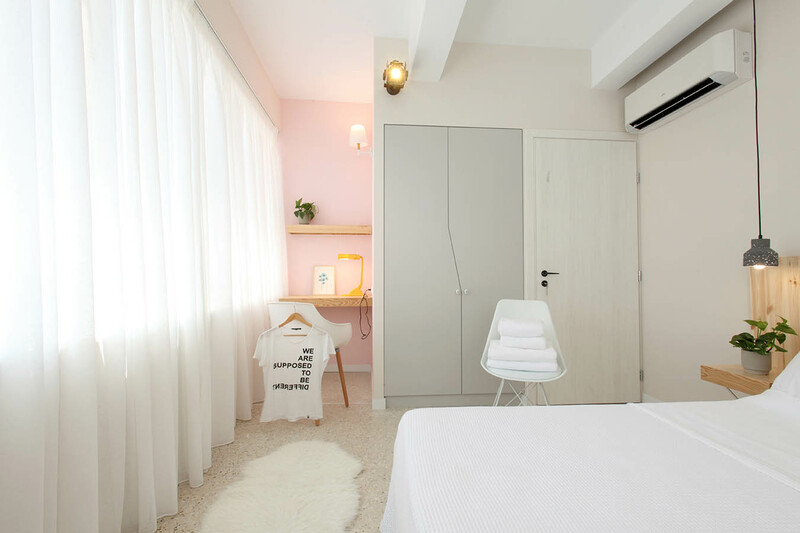 Sunbath and take a shower to refresh yourself in the morning or enjoy the sunset at the lounge sitting area, prepare your dinner and invite your friends over at the huge dining table. 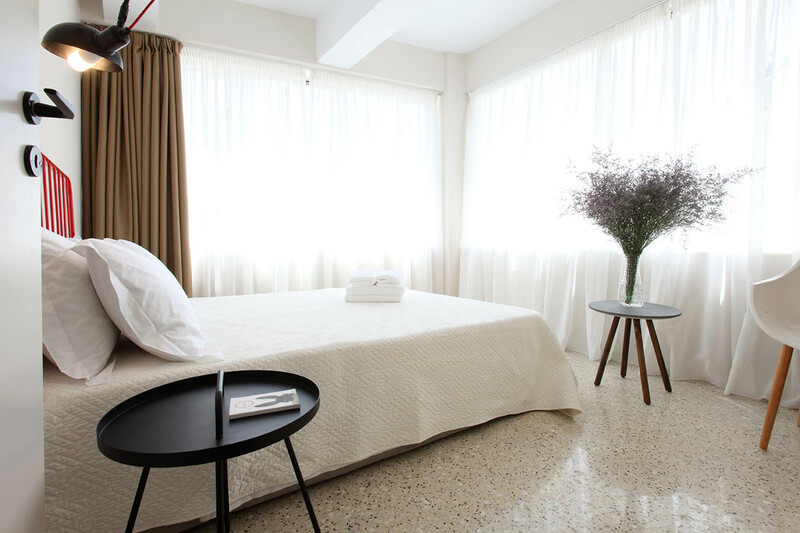 The one bedroom suite is facing the quite pedestrians of Agiou Andreou Str. 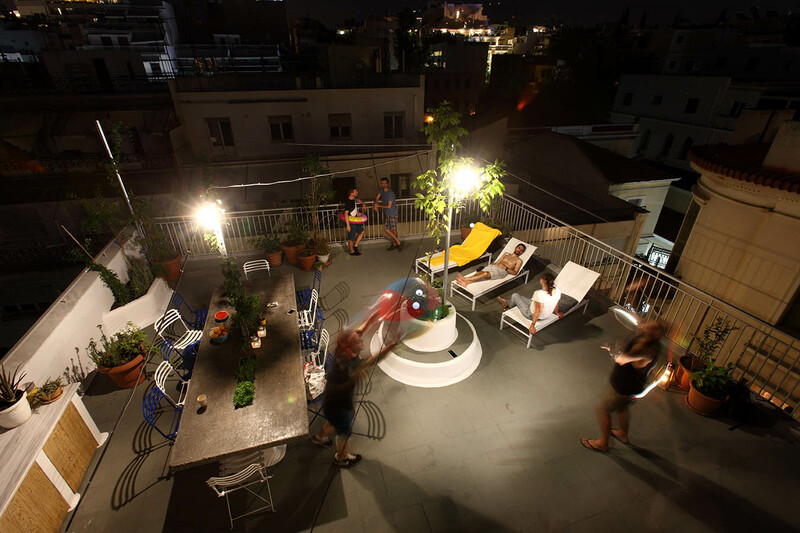 and Agias Filotheis str and the Neoclassical buildings of the early 19th century where important Athenian families are living up to now. 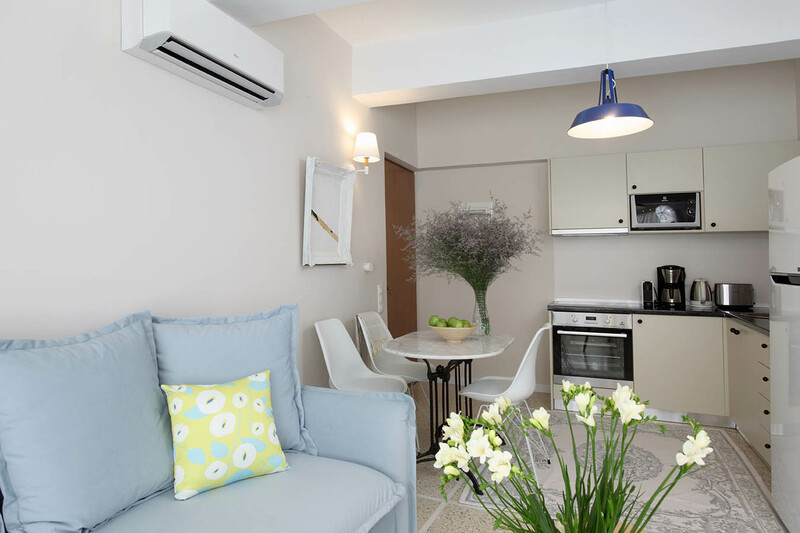 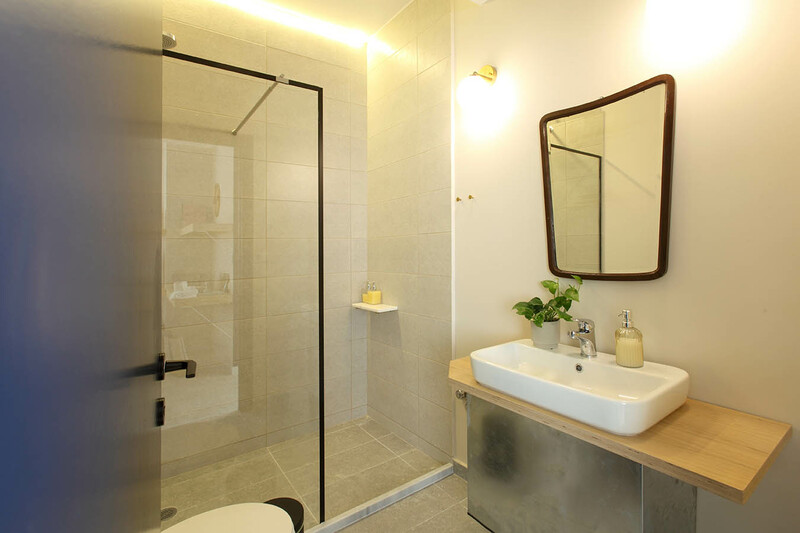 The kitchen, queen size bedroom, living room with a sofa that can be easily turned into a double bed, and the shower bathroom are designed and fully equipped to meet the needs of a short or long stay travelers in the city of Athens. 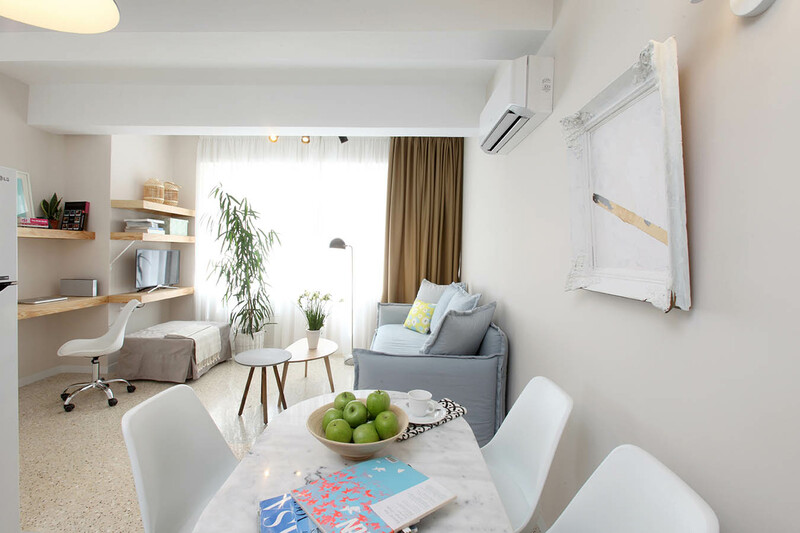 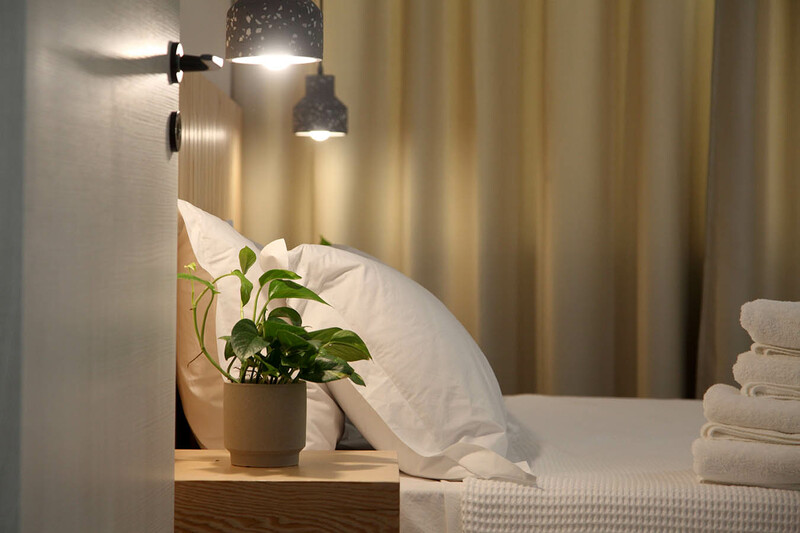 As always, along with the apartment you will find “homemade” tips about what’s going on in the city, free wifi, as well as the assistance from the Live in Athens family that is always there trying to make your stay an unforgettable experience.